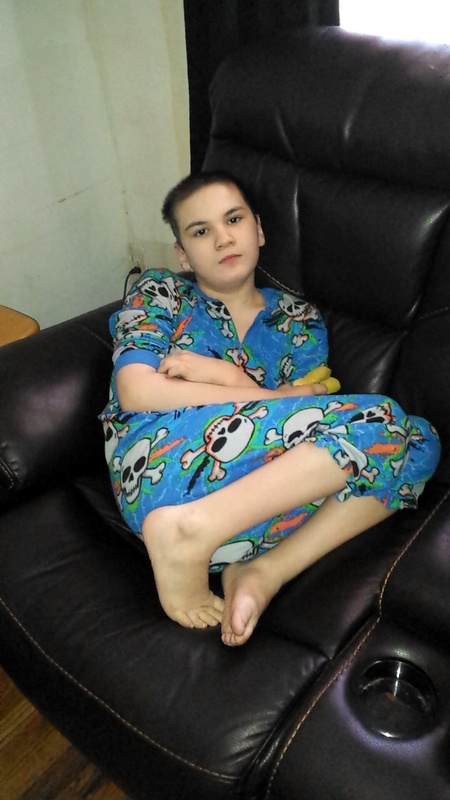 Dylan slept for seventeen hours after those damn seizures yesterday. He got up at five thirty and has been going strong ever since then. 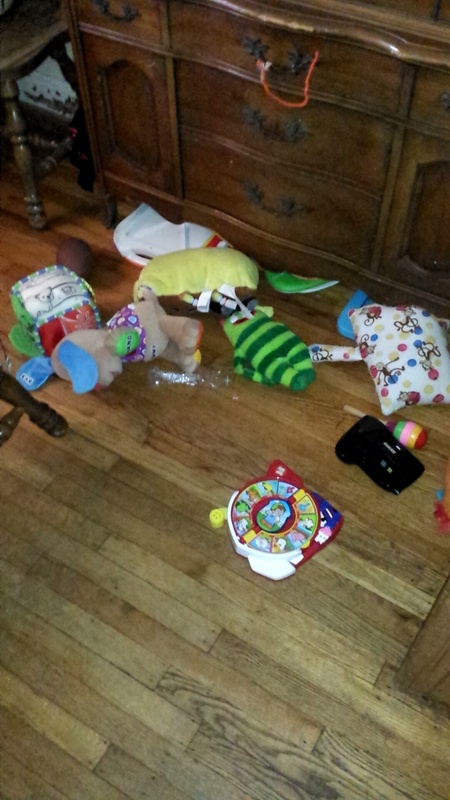 He has his toys all over the place. My poor little man slept right through father’s day. He had a seizure a few minutes ago and now he is just sitting in the living room. I hope it’s not a repeat of yesterday. I hate when the seizures rob him of his energy, it’s bad enough the medication he takes does the same thing. He is still in his pajamas. Here are a couple of pictures of him and his mess.